(d) any other promotions which are advertised by Rynga as subject to the Fair Use Policy ("Fair Use Promotions"). 13.4. In the case of Rynga calls, there are restrictions on the maximum number of calls and the duration of the calls. 13.6. In the case of Fair Use Promotions, what is excessive use will either be advertised by Rynga at the time of the relevant promotion or included in this Fair Use Policy prior to the commencement of the relevant promotion. 13.7. It is unfair use where You attempt to gain unauthorized access to any feature or part of Rynga Services or Network by any illegitimate means. 13.8. It is unfair use where You use any device or software to interfere or attempt to interfere with the proper working of the Rynga Services or any transaction being conducted on Rynga Network. 13.10. It is unfair use where You attempt to resupply a Rynga Service without Rynga`s prior consent. 13.11. It is unfair use where You use Rynga Services or Network for any purpose that is unlawful or prohibited by this Fair Use Policy, or to solicit the performance of any illegal activity or other activity which infringes the rights of DELLMONT. 13.12. 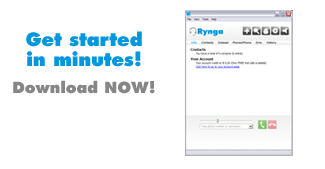 Rynga may charge you a cost-price based rate for any subsequent calls to one of the destinations, terminate your account, or deny the use of the Rynga service or features of it. Rynga Credit Card payments will appear as DELLMONT on your bank or card statement.